This property has had 13 views in the last 3 days! NEW UPDATES FOR 2018 SEASON! "Ohana" means 'family' and this home is the perfect family getaway! This comfortable three bedroom duplex is located on a quiet, sound-side cul-de-sac in North Topsail Beach. Sleeping up to 8 people, this home is ideal for medium sized families or groups of friends. Just imagine sitting on the porch observing the serene landscapes and wildlife and having the convenience of a short walk to the beach. Underneath the home, you will find covered parking for two vehicles and uncovered parking for additional guests. A private, enclosed outdoor shower and picnic table are located underneath as well. The main entrance is located in the center of the covered parking area.The first level houses the master bedroom, which leaves little to be desired. It has a king size bed, private en-suite bathroom, and private sound view deck. Bedroom 2 and bedroom 3 are on the ocean view side of the first floor and both share a full bathroom. Bedroom 2 features a queen size bed and bedroom 3 features two twin sized beds. The washer and dryer are conveniently located on this floor in the hallway. Continuing up to the next level you will find the main living area. The dining area is open to the kitchen and has comfortable seating for eight. This open concept floorplan leads you into the living room which is divided into two places to relax. The living room is complete with a love seat, three club chairs, and an electric fireplace that can be used for extra warmth on cooler nights or just a nice ambiance for a relaxing evening. The french doors lead to a private sunroom that features a queen sleeper sofa, providing an extra seating and sleeping area. A sunny sound side deck is also located off the living room and sunroom, offering the perfect place for your morning coffee! There is also full bathroom located on this level. If you are looking for a relaxing family vacation, "Ohana" is the place for you! "Clean Good interior layout Close proximity to the beach Fully equipped kitchen Reasonable access to restaurants and shopping"
"This beach house is awesome!! It was just the right size for 3 adults and three children. It was spotless and very comfortable. Very well stocked. Loved having a sound view as well as the ocean view. It was just a short walk to the beach. I would recommend this adorable beach house to everyone!!" "Absolutely loved our stay at Ohana. The pictures were a great representation of what the place actually looked like. Very clean and kitchen was well stocked with everything you need to cook. Very short walk to the beach as well. Would absolutely stay here again." "Stayed at Ohana over the weekend....and it couldn't have been more fun. Well worth the price / value given that you have a nice view of the beach AND a view of the beautiful sound waters as well. No matter the deck area to relax on - EVERY space has amazingly beautiful areas for relaxation. 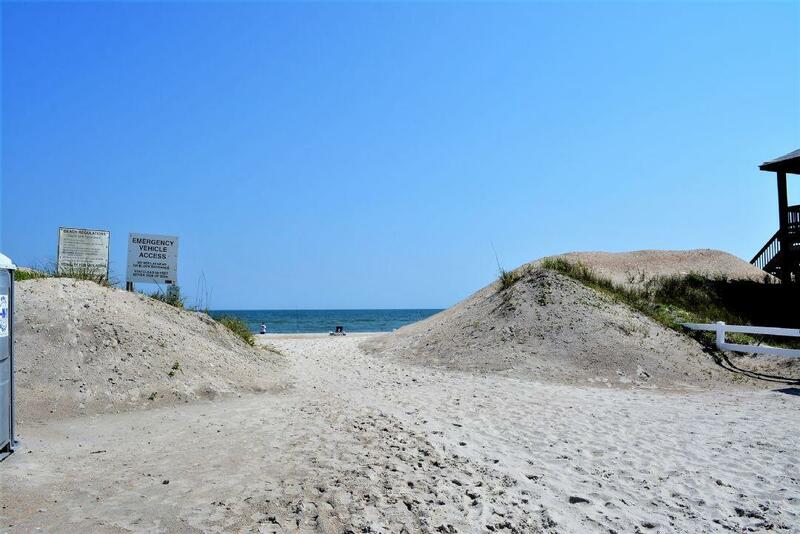 It was VERY well kept (like new) and located on a nice quite part of north Topsail Island. We wanted something with the beauty WITHOUT the noise and traffic (well kept and quite settlement) - it was perfect! We had great weather, easy access to the beach (literally one minute walk) and fun all around. Be sure to have a brunch at MacDaddy's - great view and right on the beach too." "The Ohana provided a perfect quick getaway! It's in an amazing location just a short walk to the beach. It was incredibly comfortable, spacious, and perfect for a family and friends vacation! I can't wait to go back!" "I recently stayed at the Ohana for a girlfriend get away and we had a great time. This is a little hidden gem at Topsail Island. I have been going to this beach for most of my life but this location is ideal. The cottage has spectacular views of the sound as the rear of the house is located on the sound and also views of the ocean from the kitchen/dining room. Both areas have comfortable seating to take in the beautiful views. The walk to the beach is only a short distance and this area of the beach is not crowded. The cottage was clean and nicely decorated; comfortable and fully equipped for cooking. A great kitchen area for entertaining family and friends or to just have fun playing games. I would definitely come back to the Ohana!" "I stayed at this condo for just a short while but I will definitely return! It has everything a beach condo should have! 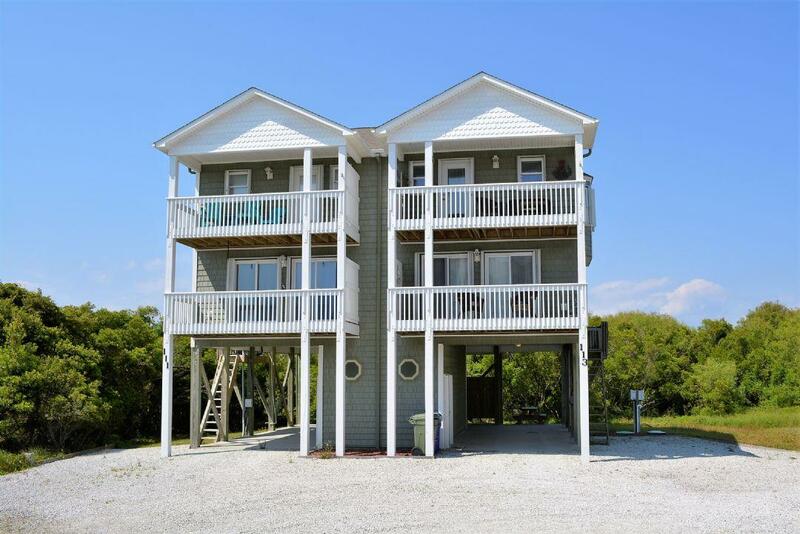 Lovely views of the ocean and inter-coastal waterway, a bright, welcoming atmosphere and just a short walk to the beach. There is plenty of parking for a large family, an outdoor shower and picnic table outside. Inside, the bedrooms are well-appointed, comfortable and so clean! On the upper level, you find a lovely sunroom, 2 decks, a full bath and plenty of space to entertain, play games and just hang out! The owners have put a lot of thought into making this a great family get-away! I highly recommend it!!!" Does this property have a pool or pool access? No. This property does not have a pool at this time.